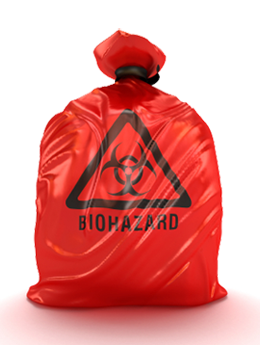 BioHazard Clean-Up | Crime Scene Cleaners Inc. While it is not pleasant to contemplate, it is unfortunately true that there are incidents such as assaults, murders, suicides and accidental deaths/injuries, and unattended deaths that occur and which require professional cleaning and restoration. Crime Scene Cleaners is available 24 hours a day, 7 days a week to provide these services. Crime Scene Cleaners specializes in the clean-up of any scene where bodily fluids or other biohazards may be present. We have the experience and equipment to clean properties and vehicles, dispose of contaminated materials and to return the scene to its previous condition. Our staff is courteous, sensitive to the situation and will arrive in an unmarked vehicle. The last thing that families want to do in the time of grieving is to clean up the aftermath. At Crime Scene Cleaners, Inc., we have over 2 decades of experience dealing with families, law enforcement and insurance companies to provide compassionate, effective and affordable biohazard services. In most cases, our services are covered under the property owners’ insurance policy. We work with all insurance providers and can walk families through the process of working with insurance companies to pay for biohazard clean-up services. When most people think of bio-hazardous waste, they think of bodily fluids and blood remediation. These can be the result of a variety of situations, including assault, homicides, suicides or accidental deaths, as well as animal remains, hoarding scenes, or industrial accidents. Additionally, the chemicals used by forensics team can be categorized as bio-hazardous waste. Our specialists come in after the police and forensics team have finished, and the body has been removed. Our job is to clean the space, which will allow families to move forward and grieve. We utilize state certified materials that will effectively remove the contamination, and sterilize the home, vehicle or building. The chemicals we use are safe, ensuring that they won’t leave any harmful residue behind for the residents. Our primary goal is to restore the space to the way that it was before, allowing families a sense of reprieve and normalcy. What is the process for removing bio-hazardous waste? When it comes to disposing of hazardous waste items, there is a process that must be followed. All of our containers are labeled with bio-hazard labels, ensuring that they fall within the legal parameters of state requirements. They must be disposed according to state standards, as well as OSHA regulations. They are sent to a licensed hazardous waste facility. The items that aren’t deeply contaminated can remain in the home, and will be thoroughly sanitized and cleaned. Additionally, we provide crime scene cleanup to people who have been in car accidents, or traumatic events outside of the home. We can come to the scene in an unmarked van and ensure that it is cleaned as effectively and efficiently as possible. We work with law enforcement agencies to disinfect their vehicles as a result of blood, urine, feces, MRSA, TB, bed bugs, scabies or any other contaminant of concern that they encounter. We respond 24/7 to a location most convenient for the officer where the work can be performed. OSHA regulations guide a bio-hazard cleanup, and all of our employees have completed training in blood borne pathogens, ensuring that they clean, sanitize, and deodorize the property safely and efficiently. We also take great caution with protective wear and equipment, prioritizing safety for our employees and the residents of the home. Our company follows all the guidelines set forth by Utah and the IICRC who set the industry standards internationally for crime scene cleaners, including documentation of employee training programs, and labeling all of our disposal materials. We can properly store and dispose of toxic and bio-hazardous waste, in the proper temperature controlled environment, as well as the proper time limit. Contact Crime Scene Cleaners today for biohazard and/or bodily fluid clean-up. Our professionals will get to work quickly and do our best to restore your home, business, or vehicle to working order as soon as possible. We strive to offer a level of sensitivity and discretion for our clients, allowing them to have some peace of mind in what is a very difficult situation. Copyright 2012 Crime Scene Cleaners, Inc.